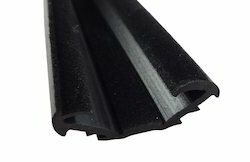 Our product range includes a wide range of extruded rubber profiles, bus body profile, rubber profile, epdm rubber profiles, flocked glass run channel and glass run rubber flock channel. Color Black , White, Red etc. 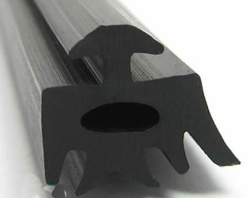 By utilizing our years of experience, we bring forth a qualitative array of Extruded Rubber Profiles. 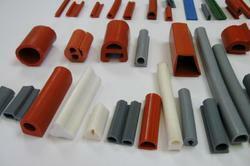 The offered profiles are manufactured utilizing superior quality raw material and latest technology. Moreover, a team of our quality examiners conducts a series of quality tests on the entire range to seek out any possible defect. In tune with industry standard, we provide the entire range of profiles in various customized options and industry leading prices. Being a customer oriented firm, we are engaged in offering a wide range of Bus Body Profile. This profile is manufactured using optimum grade raw-material and sophisticated technology in synchronization with industry standards. In order to ensure quality, the entire range is rigorously tested on various parameters by quality controllers. Keeping in mind the diverse requirements of our clients, we provide entire range of profile in various sizes and specifications and at affordable price. 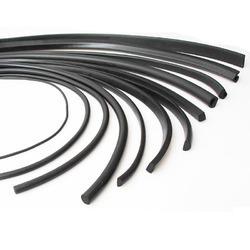 We have emerged as a leading organization, engaged in offering superior quality Rubber Profile. This profile is manufactured using optimum grade raw material and cutting edge technology in synchronization with set industry norms of quality. Apart from this, this profile is extensively demanded in the market for their indispensable features. Clients can avail the entire range of profile from us at affordable price. 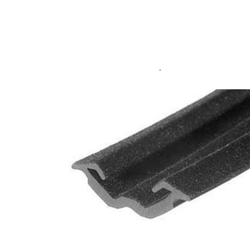 In line with clients' variegated requirements, we bring forth a distinguished collection of EPDM Rubber Profiles. These profiles are designed and manufactured at ultra-modern manufacturing unit using the superb quality raw-material and progressive technology in conformance with defined quality standards. Being a quality-oriented organization, we assure our clients that these profiles are excellent on counts of durability and quality. We are one of the leading manufcaturers & suppliers ofFlocked Glass Run Channel. 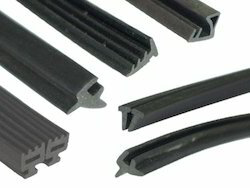 We are one of the leading manufacturers & suppliers of Glass Run Rubber Flock Channel. 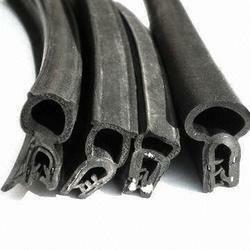 We are one of the leaading manufacaturers & suppliers of Rubber Beading Cord. We are one of the leading manufacturers & suppliers ofRubber Profiles for Aluminium Doors. 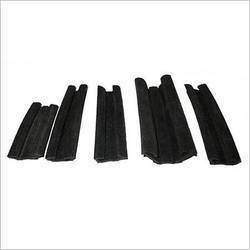 We are one of the leading manufacturers & suppliers ofU Type Rubber Profile.